Whatever the festivities, you can put your faith in the Mexican Fiesta Flyer! 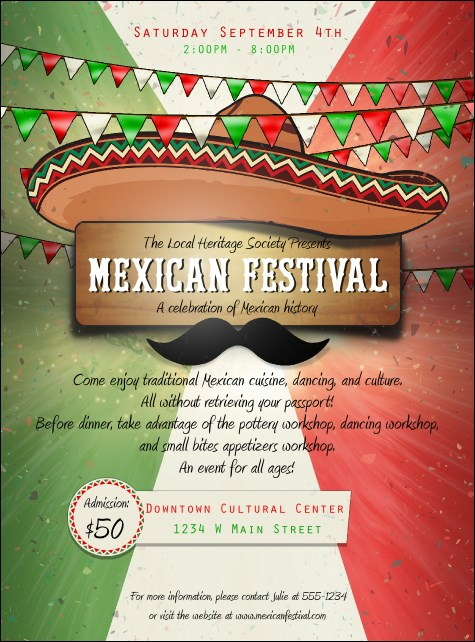 Adorned in artful red, green and white, with a jovial banner strewn across a large sombrero, this flyer will do any Cinco de Mayo celebration proud. Sixteen easy-to-edit lines await your info. Find a polished party flyer for every function at TicketRiver.com.au!